While Europe offers many admirable urban design and transportation lessons that America would do well to emulate, we need to be careful about transferring a lesson of a more modest use of on-street parking from Europe to America. 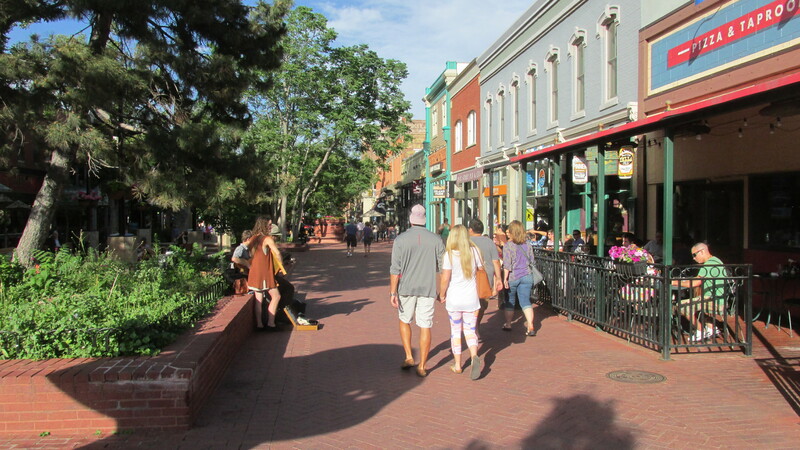 On-street parking provides a large number of beneficial impacts on a healthy downtown. There are reports that on-street parking is not as common in Europe, and yet wonderful urbanism is found in most of their cities. However, many older European cities have a lot more residential density and commercial intensity than in the US. They also tend to have more narrow streets in their commercial areas. Given all the pedestrian vibrancy and human scale found in such European urban centers, it seems to me that the need for on-street parking would be substantially less. In such a place, there is less need for on-street parking to slow cars—they are already fairly slow—or humanize streets by making them safer and more human-scaled. In the US, by striking contrast, nearly all commercial areas feature high-speed, excessively wide streets and building setbacks. Typically, in almost all cases it is essential for such places to be humanized and slowed down by on-street parking. By sad contrast, “pedestrian malls” nearly always fail when attempted in the US. I believe the failure here is due to the lack of sufficient densities surrounding human-scaled streets (and the excessive free car parking found in most cities). So again, while I can imagine removal of on-street parking being an appropriate and perhaps beneficial tactic in European cities, I suspect it would nearly always be counterproductive for vibrant urbanism in the US. I think a big part of this is that in the smaller, human-scaled spaces often found in European cities, motorists often (and rightfully) feel inconvenienced when using a space-hogging car in a European city—even without on-street parking. Maybe after the revolution, when gas prices reach $20 per gallon, we might see more potential for using on-street parking less often in America. 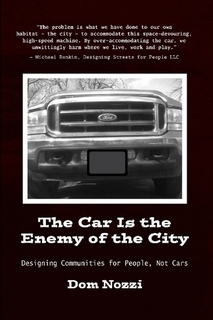 I very strongly recommend The High Cost of Free Parking by Donald Shoup. It is the best book I’ve read in my career as a city planner. An important message from the book: parking subsidies are, by far, the biggest subsidy in America, and induces a lot of driving that would not have occurred had we not subsidized it. I joined a bicycling and walking board of directors in 2008 because I was no longer able to tolerate the annual carnage of bicyclists and pedestrians killed on roads throughout the nation. For example, in 2007, 698 bicyclists killed and 43,000 were injured in traffic crashes in America. That same year, 4,654 pedestrians were killed and 70,000 were injured in traffic crashes. I joined the board because I presume that a bicycling and walking organization would be interested in showing the courage, wisdom and leadership to break out of this unfortunate pattern of having very little to show for its efforts to grow bicyclists and pedestrians, or improve their safety. To take measures that are effective in achieving larger numbers of bicyclists and pedestrians, and substantially improving their safety. Proposed name is more bold, more personalized and more proud. It is also less of a “jargon” term than the current name. That true safety for bicyclists comes from low-speed street design (I’ve long known this), and Safety in Numbers (SiN). That nearly all state and local bicycle advocacy groups are undercutting their (presumably) prime objective of recruiting new bicyclists by obsessively, aggressively pushing bike helmet use. That SiN is perhaps one of the most effective ways to achieve increased bicyclist safety, which means that bicycle advocates must start identifying and deploying the most effective bicyclist recruitment tactics to improve safety. Below is my own personal list of what I believe are such tactics. Keeping all roads and intersections modest in size, and reduced in size (road dieted travel lane reduction). Widening projects, especially those done in the name of safety or capacity, are opposed. Wider roads and intersections are among the biggest deterrents to walking and cycling. Bike lanes and sidewalks are conspicuously absent from this list because while I believe they are a vital way to convey the important message that the community is bicycle- and pedestrian-friendly, I do not believe such facilities, alone, induce a meaningful increase in “utilitarian” bicycling and walking. When there are large numbers of bicyclists and pedestrians using streets on a regular basis, motorists are more likely to expect to see bicyclists and pedestrians. Expectation improves safety, in part because surprise is reduced. In addition, when motorists drive on streets, crosswalks and sidewalks being used by bicyclists and pedestrians on a more regular basis, the motorist learns how to drive more safely near bicyclists and pedestrians. It is important to soft-pedal helmets and lycra for city bicycle commuters. 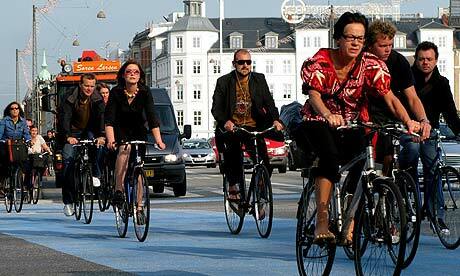 Helmets and lycra discourage bicycling, and promote the perception that bicycling is dangerous and weird, not normal. Overly zealous bicycle helmet promotion visibly promotes the “dangerization” of bicycling, which is the last thing that a community seeking to increase the number of bicyclists should do. Bicyclists, AS INDIVIDUALS, are probably safer when wearing a helmet. But if we were to look at the life safety of an entire community or nation, that this GROUP of people, overall, would be safer if we did NOT require or aggressively push use of a bike helmet. Bike/Walk Virginia recommends that to the extent allowable by liability management, that bicycle helmets and lycra be soft-pedaled for city bicycle commuters, rather than “dangerizing” bicycle commuting by aggressively urging the use of helmets. [Bike/Walk Virginia continues to support the voluntary use of helmets for commuter bicyclists but wishes to promote overall safety for all bicycle commuters by promoting safety in numbers, and take the position that helmets are not the first line of defense for bicycle commuter safety. We know that one of the most common reasons given for not wanting to bicycle is that it is “too dangerous.” Why, therefore, would a bicycle advocacy group wish to profoundly undercut a prime objective of recruiting new bicyclists by constantly requiring helmet use? Helmets undermine recruitment because they send a loud and clear message: “Bicycling is very dangerous! You are wise not to bicycle because you might get killed!”]. I’m not suggesting that helmet use should be discouraged, I simply believe that as an organization, BWVA needs to turn down the volume on aggressively promoting bike helmets for low-speed urban bicycle commuting.” Otherwise, the organization will be undercutting this important advocacy objective of growing the number of bicyclists and pedestrians. On-street parking, by itself, is not necessarily sufficient in creating a better environment for retail, bicyclists or pedestrians. On-street parking is one of the most beneficial tactics, in a toolbox of tactics, that can be leveraged in an existing or up-and-coming low-speed town center. On-street parking should therefore be included whenever possible. If we are talking about the creation (or restoration and revival) of a town center, the litmus test for appropriate strategies must be a question about whether the strategy will create a low-speed “park once” environment. With such a vision, the pedestrian (not bicyclists or transit users or motorists) must be the design imperative. Should the proposed town center be four or more lanes in size, the street will nearly always be anything but a low-speed, park once environment well-suited for pedestrians. Such a “drive-through” design, to be transformed into a healthy town center, must be ratcheted down in its speed and the width of the street. On-street parking and travel lane removal tend to be the most effective ways to do that. Note that when town centers are designed well, bike lanes can be incompatible with a low-speed walkable town center design. In other words, street design must be context-sensitive. We need to be careful not to suboptimize certain forms of travel in inappropriate locations. A town center without on-street parking is ultimately to the detriment of the bicycling community, as the flight of commercial activity from this area (induced by such factors as an absence of on-street parking) will lead to longer bike rides to commercial areas. For bicyclists and pedestrians, another downside associated with a lack of on-street parking in a town center is the increased speed and increased inattentiveness of motorists in the corridor. What are the effective tactics to induce more bicycling and walking? In my research and experience, the following are the most effective ways to induce a significant increase in bicycling and walking. Scarce and priced car parking. Proximity, through relatively compact land use patterns (including a mixing of homes with shops and culture and jobs). VERY high gas prices, through an increase in the gas tax, or market forces. Slower speeds. When the difference in speed between cars, pedestrians, and bicyclists is high, it is very difficult for nearly all of us to feel comfortable walking or bicycling. High car speeds create enormous barriers to walking and bicycling. Full-time staff needs to be devoted to walking and bicycling in local government. One-way streets need to be converted back to two-way operation. Short block lengths need to be created in street design. About 200 feet is an excellent length for walking. Create human scale in street, intersection, and building setback dimensions. Rule of thumb: Smaller is better. Achieve street vibrancy. There should be 24-hour activity on streets and sidewalks. Vibrancy attracts pedestrians and bicyclists. Deploying tactics on this list helps create vibrancy. Create the perception that walking and bicycling is safe, pleasant, and hip. Understand and act on the reality that there is safety in numbers. When we effectively induce a large increase in walking and bicycling, we create a self-perpetuating virtuous cycle. Many who see large numbers of pedestrians and bicyclists are convinced that walking and bicycling is safe, pleasant, and hip. Being convinced of that leads many to start walking and bicycling more often themselves. Notice the glaring lack of “new sidewalks and bike lanes” on the above list. It is no coincidence that many of the great walking and bicycling cities in the world have awful or scarce sidewalks and bike lanes. Will the provision of more sidewalks lead to more walking? comfortable, and safe”? Could it maybe be that people prefer driving to all that free and abundant parking that awaits them everywhere, rather than walking five miles? Could it be that land use densities are so low – that, therefore, walking distances are so long – that walking is nearly impossible for the vast majority of residents? Is it a good idea to encourage more bicycling by installing more bike paths that are physically separated from motor vehicle travel lanes? As I’ve said many times in the past, I’m still waiting for ONE example of a community in the US which has successfully employed this strategy. I know of none. Even if there was a community which could afford the astronomical costs, sidewalks, bike lanes and bike paths are not likely to induce regular commuting by mom, kids and seniors (and healthy young people) when the distances are extreme, as they are in almost all of suburbia. Are bike lanes and sidewalks sufficient to induce more bicycling and walking? I continue to be convinced that bike lanes and sidewalks do not meaningfully induce bicycling and walking BY THEMSELVES. Gainesville is an excellent example (as are a number of communities I have visited). Gainesville has one of the most comprehensive and adequately provided set of bike lanes and sidewalks I know of. The climate is good year-round. The topography is flat as a pancake. And the University of Florida, being the third largest university in the US, provides the city with an unusually large number of young, healthy, fit, poor, educated citizens. Despite all those things going for it, the number of utilitarian bicyclists and walkers is tiny in Gainesville. I contend it is because Gainesville is an utter failure when it comes to car parking, density/mixed-use, gas taxes, size/speed of roads, size of blocks/connectivity, etc. If it were true that bike lanes and sidewalks induced lots of bicycling and walking, why is almost no one doing it in Gainesville? I’ve heard people tell me over and over again that if paths or sidewalks were provided, they’d bike or walk a lot more. I’ve not noticed that being true in the cities in the US that have a failing score on my list of effective tactics. I understand that it is common for folks to say things in surveys just because they believe that it is ethical to believe or behave in the way they indicate in the survey. But it ends up mostly being lip service. Almost everyone says they’ll bike/walk/transit more if we put in the bike/walk/transit faculties. But mostly they are not being honest (or don’t realize there are a lot of additional factors that have them decide not to change the way they travel). My list strives to identify the most effective tactics to induce travel change. Bike lanes and sidewalks are necessary, but not effective enough to be on my Top Ten list. I also didn’t have showers on my list for the same reason. Or bike parking. By the way, one of the reasons I think it is a good idea to not have bike lanes/sidewalks on the list is that far too many people think the war has been won if those things are installed (but nothing has been achieved for the items on my list). I’m tired of that. I’m ready for some wise leadership. For a change. Keeping bike lanes and sidewalks off a tactics list might lead to some serious thinking. America has had how many decades of failure to meaningfully increase bicycling and walking? Isn’t it time for a change in what we do? In my experience (and note that I am referring strictly to utilitarian/commute walking/biking and not recreational), sidewalks and bike lanes don’t seem to induce a meaningful number of utilitarian trips by pedestrians or bicyclists — particularly in suburbia. In my opinion, it is irrational and therefore extremely unlikely that people will opt to walk or bike (even on bike lanes or sidewalks) instead of drive a car, for trips to work or a store or other utilitarian trips. Particularly because, as Donald Shoup so convincingly points out, the free parking spaces that Americans find on nearly all of their car trips are begging people to drive a car. Other factors that make bike lanes and sidewalks unlikely to induce new utilitarian bike/ped trips are the enormous distances one finds in low-density, single-use suburban settings. Gainesville had sidewalks and bike lanes everywhere, yet it was VERY rare for me to ever see or hear of someone walking or bicycling for utilitarian purposes (even though we had an enormous number of college students there). I almost always felt that I was one of 3 or 4 bicycle commuters in allegedly bike-friendly Gville (where bike lanes and paths are all over the community). In stark contrast, I have been to communities in both America and Europe (Charleston, Copenhagen, Rome, etc.) where there is an enormous amount of biking and walking. And quite frequently, such places have rather inadequate sidewalks or bike lanes. In my opinion, those places have lots of bikes/peds because of their compactly laid out town centers, their mixing of land uses (houses close to schools, culture, jobs, and shops), scarce and expensive parking, short travel distances, etc. Other examples: A number of people have observed that in a number of “new urbanist” towns, many continue to drive despite sidewalks and short distances. Or notice that most everyone drives even though their trip is only a few hundred feet in length. Again, in my opinion, that is largely explained by the abundance of free parking that awaits at the destination. Too often, I’ve seen elected officials unjustifiably pat themselves on the back for creating a bike-friendly community because they required installation of bike lanes or bike parking. But it was mostly window dressing, because in places like Gainesville, most everyone continued to drive for the reasons I mention above. Politicians are typically unwilling to show the leadership needed to use effective tactics like compact land use patterns, mixed use, efficient parking, etc. Instead, they engage in easy-way-out lip service that buys them votes but doesn’t meaningfully change the community. In sum, the suburbs are in deep trouble in the inevitable future where car travel is substantially higher in cost. Their dispersed, single-use land use patterns and long travel distances means that even with bike lanes and sidewalks, most people will feel obligated to pay a lot more money to buy gas, because the distances are too daunting to walk or bike. Suburbs, to have a future, need to densify or at least create new town centers. I am in full agreement, despite what I’ve said above, that communities should ALWAYS require new development to install bike lanes (particularly in suburbia) and sidewalks (particularly in town centers). In fact, I enthusiastically wrote ordinances that Gainesville adopted which required sidewalks for all new development. I fully agree that people should not be expected to walk on a road due to lack of sidewalks (except, perhaps, in very low-density rural conditions), or be expected to bike without bike lanes (except in low-speed town centers). If nothing else, such facilities show the community is bike- and ped-friendly. A very important message to send. It shows that the community respects such people. Is it feasible to adopt the tactics I recommend? 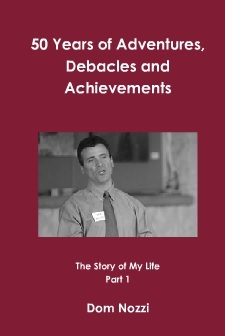 I am fully and sadly aware that the effective tactics I recommend are extremely difficult, if not impossible to achieve in most of the US, politically. But opting for other more feasible tactics (bike lanes, bike parking, bike showers, sidewalks) doesn’t make them effective simply because we can do them easier. Let’s be honest: Most American communities are doomed because we have spent several decades building communities that have no future because it is nearly impossible to retrofit them for transportation choice and other forms of sustainability. We have many years of painful and costly work in front of us. On December 22, 2008, former Gainesville City Commissioner Ed Braddy attacked a guest column I had written about transportation and published by the Gainesville (FL) Sun. Mr. Braddy’s views are so full of errors that I hardly know where to begin. Mr. Braddy argues that had road widenings kept pace with population growth, we would not have congestion. This is ruinously uninformed. After endless and costly highway widening efforts for several decades, there is now a consensus that we cannot build (widen) our way out of congestion. We bankrupted ourselves by spending trillions of public dollars to build ever-wider highways. Yet we failed universally and catastrophically to eliminate congestion. It is silly and bankrupting to think that “keeping pace with population growth” by spending several trillion more highway widening dollars would have helped. Haven’t we learned by now that widening to eliminate congestion is equivalent to loosening your belt to eliminate obesity? Mr. Braddy makes the naïve claim that instead of being subsidized, motorists pay for road construction and maintenance through gas taxes. All informed traffic engineers, governments and economists have pointed out that the gas tax pays only a small fraction of the cost to build and maintain roads. Most of that cost is subsidized through property taxes, income taxes, and sales taxes. And what about this “American Dream” of “affordable housing in the safe, far-flung suburbs”? Studies now show us that a suburbanite is much more likely to be hurt or killed in a car crash than a downtown resident is to be hurt or killed by a mugger. By requiring long car drives for every trip made in suburbs, research finds that the suburbs are more dangerous than even the most crime-ridden downtowns. And all the cars bought and gas burned while driving all those suburban miles means that there are rapidly growing suburban transportation costs. So much for “affordable” or “safe” suburban housing. In our economy, prices are an accurate barometer of winners and losers. Success and failure. Recent studies are finding that the far-flung, contemporary, car-dependent suburban home is the residence most significantly losing its value. By contrast, it is the walkable, traditional, in-town, smart growth home, rich in transportation choices, that is either retaining its value or seeing its value continue to increase. In the face of gas price volatility, environmental woes, high crash rates, and loss of a sense of community, the prices in our market are increasingly telling us that homes in the suburbs are increasingly losers and in-town, walkable homes are winners. By the way, Mr. Braddy makes the laughable claim that transportation choice and smart growth have long been “the dominant paradigm.” Really? Last I checked, only cars are comfortable on 99 percent of our roads. And only “American Dream” suburbs are allowed or built in our cities. Mr. Braddy disparages smart growth and transportation choices, which implies that he believes the U.S. should continue to inequitably and unsustainably grow beyond its means. The dinosaurs and the Roman Empire grew in such a way. And collapsed into extinction. Speaking as a 20-year city planner, American planners react to what private landowners and developers propose to the local government with regard to development along a roadway. Public sector planners have very little control as to densities or mixed uses or types of businesses that are proposed along a roadway. Yes, public planners can write development regulations or corridor plans that call for walkable, mixed use, higher density design, but if the roadway is 5 lanes and designed for 45 mph (inattentive, talking-on-the-cellphone) speeds, such regulations will be a moot point, as property owners and developers tend to build to what the market seeks. And when you have a multi-lane, high-speed roadway, the market tends to seek low-density, drivable, single-use suburbia. Certainly such suburban areas can incrementally transform themselves to be more urban, compact, walkable, dense environments. We should not necessarily give up on them. But public planners, and their regulations and plans, will be almost entirely powerless to catalyze such a transformation. The effective catalyst in the case of a suburban environment fed by high-speed, high-volume roadways is for state Departments of Transportation (DOT) to make amends for its earlier decision to build an oversized roadway (usually justified on the grounds that the 5 lanes are needed to reduce or avoid congestion—even though we should all know by now that we cannot build our way out of congestion).